A feel-good drama recognizing the scientific contributions of three black women, Hidden Figures has an inspirational story to tell but is also packed with over-amplified melodrama. It's 1961, and three black women work as "computers" on the nascent NASA space program in Virginia. 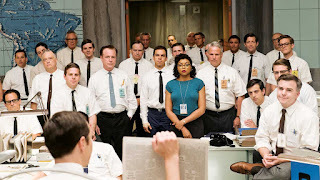 Katherine Goble (Taraji P. Henson) is a mathematical genius whose potential has not yet been recognized; Dorothy Vaughan (Octavia Spencer) is being held back from a supervisory position she richly deserves, and Mary Jackson (Janelle Monáe) has ambitions to be an engineer but faces obstacles due to segregation laws. With the Soviet Union comprehensively winning the space race, director of the Space Task Group (STG) Al Harrison (Kevin Costner) and his head engineer Paul Stafford (Jim Parsons) are under increasing pressure to place a man into space. Katherine is recruited into the STG and starts to prove her worth despite entrenched racist attitudes. Dorothy spots the emergence of computers as a key new technology and takes the initiative to teach herself and her team computer programming. Mary refuses to take no for an answer, and pushes to get accepted into the courses she needs for an engineering degree. As the countdown continues to John Glen's maiden flight, the three women play an increasingly prominent role. 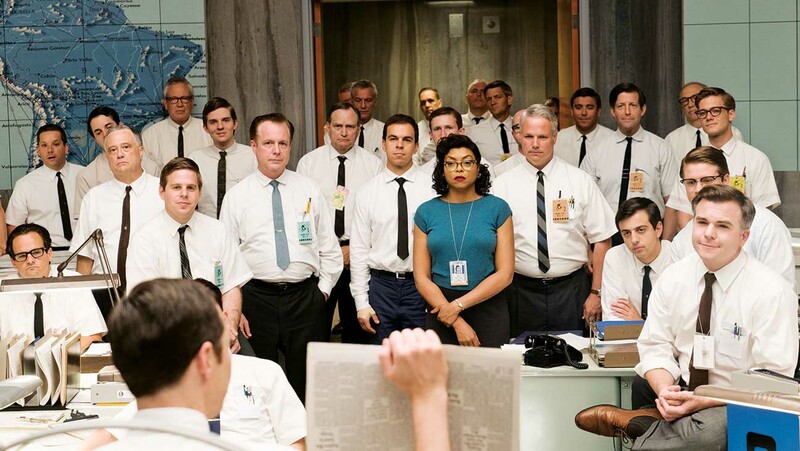 An adaptation of the Margot Lee Shetterly book directed by Theodore Melfi, Hidden Figures shines a light on the previously unheralded contributions of three remarkable women who toiled against both gender and racial discrimination. Their story is irresistibly uplifting, and the film is a celebration of quiet dignity, persistence and strength of character against seemingly impossible odds. The film does several things well. The challenge of developing the science of safely launching objects and people into orbit is tackled at regular intervals. The language may be simplified, but the hard work of inventing the math of space exploration is captured. And Melfi recreates the cerebral workplaces of the era to good effect. White men in white shirts dominate the hallowed halls of science, a pale background of uniformity against which Katherine, Dorothy and Mary literally stand out as coloured invaders. But this being Hollywood, Hidden Figures also takes every opportunity to push a quiet story to over-saturated levels. While there is no expectation of documentary-levels of realism, the film ironically cheapens the women's achievements by adding large doses of mediocre mythology. Black women earning respect in a white male dominated world should generate sufficient drama; here the real accomplishments are obscured by superficial incidents of racial discrimination that are either fully made up or over exaggerated. Melfi, who also co-wrote the film, invests too much time on Katherine running back and forth to the coloured ladies room, a case of first inventing a crisis and then not knowing when to let go. Dorothy's leadership of her team is elevated to a military style, invade-the-computer room heroics. Mary's courtroom highlight scene is another long stretch of the truth. The climax is most egregious, offending the space program with contrived last-minute panics. The three lead actresses rise above the material and are uniformly excellent, with Taraji P. Henson shining brightest. Kevin Costner is his steady self, while the supporting cast includes telling contributions from Mahershala Ali as Katherine's romantic interest and Kirsten Dunst as a prim supervisor hiding behind passive racist attitudes. 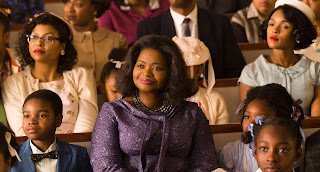 Hidden Figures is stirring story partially compromised by suspect storytelling.